The fast food chain shines a spotlight on its employees, and brand, in another unorthodox head-turner. 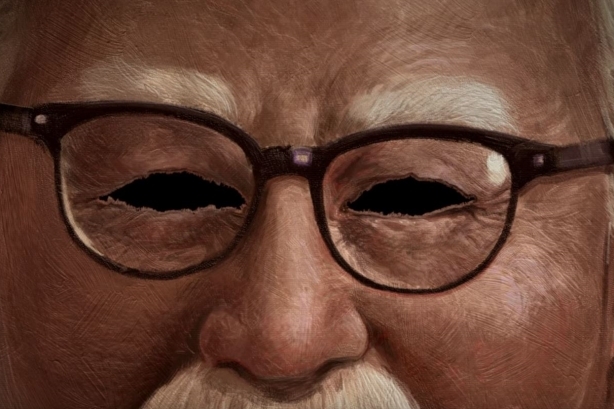 LOUISVILLE, KY: KFC staffers now must learn how to cook fried chicken in a creepy locked room, under the careful watch of a Colonel Harland Sanders portrait with eye cutouts. Fortunately, the new training program is a VR videogame, developed by Wieden + Kennedy. It was built using technology from Oculus Rift, according to George Felix, KFC U.S. director of advertising. He characterized the program as an attempt to celebrate the work of its chefs and as a gamified supplement to their in-store training. "We hope that through this people know what goes into being a cook, which separates us from other quick-serve restaurants," Felix said. Spark Foundry and Edelman also helped support the campaign. Felix added the brand would roll out the VR experience to franchisees and store general managers when possible. "As with all campaigns, we want to stay true to what the brand is about – its voice and tone – and bring Colonel Sanders to new and unexpected places," he said. "Not everyone will love every one of those, but we want to stay true to the Colonel and his values."